Lylah M. Alphonse: The opposite of a Tiger Mother: A Hiroshima Mom? 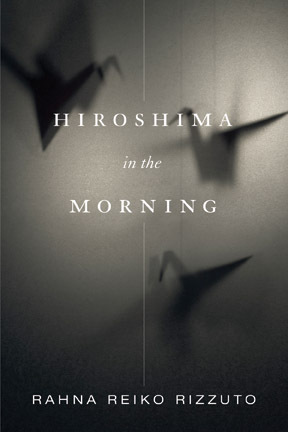 The opposite of a Tiger Mother: A Hiroshima Mom? in the Morning," in which she details her decision to walk away from her 20-year marriage and her two sons, who were just 5 and 3 at the time. She never wanted to be a mother in the first place, Rizzuto admits. "I had this idea that motherhood was this really all-encompassing thing," she explained on the Today Show. "I was afraid of being swallowed up by that." A fellowship to study in Japan for six months made it clear to her that she needed to change her life. Her relationship with her sons survived her leaving, she says, and she thinks it may even have been improved by it. "In my part-time motherhood, I get concentrated blocks of time when I can be that 1950s mother we idealize who was waiting in an apron with fresh cookies when we got off the school bus and wasn't too busy for anything we needed until we went to be," she writes in an essay at Salon.com. "I go to every parent-teacher conference; I am there for performances and baseball games." But that 1950s mother she describes as ideal had to cope with parenthood 24/7—she didn't get to pick and choose which parts to be present for. The idea that a mother could love her children and still choose to leave them to pursue her own goals is the antithesis of being a "Tiger Mother"—the omnipresent, perfection-demanding, Eastern-style parent described by Amy Chau. It also goes against our culture's definition of motherhood. But it shines a light on a glaring double standard: When a man chooses not to be a full-time parent, it's acceptable—or, at least, accepted. But when a woman decides to do so, it's abandonment. There's much more; click here to read the entire post at Yahoo! 's Shine. The idea of choosing to leave your children is one that strikes a nerve in many people (as evidenced by the 110+ comments already on the hours-old post). Edited to add: As of March 9th, the discussion at Yahoo has really grown—16,100 comments and counting. Did the story touch a nerve (or several)? Read the entire post and decide for yourself. I usually keep my opinions to myself but not this time. Ms. Rizzuto is the most selfish mother I've ever heard about. It's all about her, what she feels, wants, thinks. Even more amazing is that she pats herself on the back like she's a good mom for leaving them. She threw them away like an old pair of shoes. Actually she probably kept shoes longer than she kept her boys. I have four children and ten grandchildren. They are everything to me. Anyone that even tried to take my kids would've had to pry them out of my cold dead hands. Most mothers would give their life for their children. Yea there is a lot I missed out on, having my first baby at 17, and it was hard. It's about making sacrifices for someone you love more than yourself. When this mother gets old she's going to want them to take care of her. I hope they don't. Please people, don't buy her book. Don't reward her for being a bad mom. Unless she agrees to give her boys every dime she makes off of it. I almost feel sorry for her because of all that she's missing. Almost! Nancy you just don't get it. Having been through a very horrible custody battle, the best thing I did for my children was take them out of the firing range. And I am a very good Mom. We have very special times together. We e-mail, we talk, we communicate about things they can only confide in me. They know how deeply I love them, and they have many fond and loving moments of their special time with their Hiroshima Mom and their very loving extended family. I haven't read the book, only the news articles about the book. One thing I see left out of the articles is - what about the Dad? No, mothering isn't one size fits all. However, was there NO WAY for there to be more independence in the marriage & still keep it intact with the Mom being with the kids more often? I assume the Dad became the custodial parent. Where was his experience in all of this? What did it take for him to raise those boys without much help from Mom? It IS easier being a part-time parent. And yes, I would find it much easier myself. It's more like being an Aunt than an Mom. We would all like to not have to parent when we are tired, bored, sick, or whatever. I bet the custodial parent of these kids had to parent when it wasn't "ideal" too. To use the argument that people allow men to decide not to parent full-time and it's ok is sad. It's really not ok. No matter how well it seems to turn out, those kids missed something - whether it was Mom or Dad that was gone. The jury is still out on this one. The kids are still to young to know the long-term effects. There is also no mention in the article if there was a step-mom etc. to fill the void. This whole article was just sad. It's sad when men leave their kids and it's sad when women do. I don't know why people cannnot grasp the fulfilling of their potential without abandoning those they are responsible for...? If this was 100 years ago, she could have gone to another country & simply come back, refreshed & recharged. Did it really need to be permanant? what's really bad is that she is writing a book on her actions? Does the ends justify the means.i mean was it worth it? R they publishing what you really wrote or sacrificed your children for or what will make a good story. I mean if your writing is not getting published a part from what youre saying about your parenting, is this not a wake up call. It's not simply about you. there are more important things than career. (im a writer) It is so not fulfilling when no-one can celebrate, because you stepped over folks on your way to the top. What about your husband. very lonely, ive been there. yeah, if you are not willing to commit to your kids and do the right thing, give them to someone who will.But Don't be a part time parent. Why should you have the pleasure of being a mom, when you wont do the job or sacrifice the time. There are PLENTLY of mothers out there who would love to have your kids,and happily take them offa your hands if you don't love them. AND plently of things to take their attention when you are not there, who's raising them the tv,other ills: don't b mad when bad stuff happens and you weren't there to prevent it, or have an influence on how they turn out. Hopefully they wont repeat the cycle and be absentee/part-time fathers. What is that teaching them about life,they didn't ask to be here. when the going gets tough. i find out i have something I want no matter what happens to you, by any means necessary i will make that happen. i am not the high priority in your life. Its not fair to run over their futures so you can have your own. You should have waited. no offense but did any of your writing make it while they needed you..how come now? Nobody is saying don't be human, you have things you desire to do but to 'say later for you', i mean that's just triflin, sorry. "Hiroshima Mom" is such a terrible, ignorant, insulting phrase. Used so casually as a spin on the book title and comparison to the term "tiger mom" without any understanding of its implications and meaning on the Japanese community or survivors of the atomic bomb. What I am sure was not considered when this ignorant phrase was coined, was that there were thousands of actual mothers who survived the atomic bombing of Hiroshima on August 6, 1945. My grandmother being among those who lived in Hiroshima on that day and survived. Those women endured terrible hardship in the following years, trying to rebuild their lives, families, and communities. These women deserve more respect and compassion, and should not, in any way, shape, or form, be compared to a floozy of a mother who opted-out of her parenting responsibilities. If we were to call this phenomenon "World Trade Center Mom," I am sure there would be more sensitivity paid to the matter. And I do not mean any disrespect to the brave women who suffered loss as a result of the World Trade Center tragedy and are still working to rebuild their own lives, families, and communities. I think you missed the first paragraph of the blog post, where it says that the name of the book is "Hiroshima in the Morning."